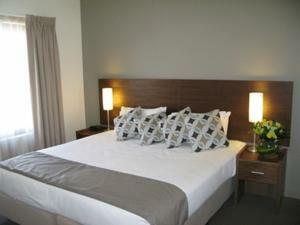 Located in the heart of Albury, Quest Albury offers self-contained accommodations. It features a well equipped gym and a variety of body treatments and massages at the on-site Endota Spa. The apartments of the property have a contemporary and minimalistic décor. 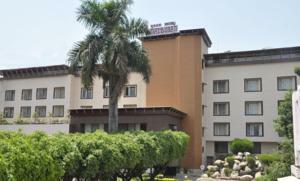 Amenities include flat screen Satellite TV with DVD player, a modern kitchenette and a work desk. Most rooms offer a large and airy living area and a fully equipped kitchen. Guests can enjoy local specialties and a selection of international dishes at the tapas bar of the Quest Albury Serviced Apartments. The bar serves selected wines along with regular piano music. The property is a short walk from the Albury Botanic Gardens and less than one mile away from the Albury Golf Course. Wonga Wetlands is less than a 5-minute drive and free private parking is available on-site. Rooms: Apartments: 104, Hotel Chain: Quest Serviced Apartments. All children under 2 years are charged AUD 5.50 per night for baby beds. All older children or adults are charged AUD 25 per person per night for extra beds. The maximum number of extra beds/baby beds in a room is 1. Any type of extra bed or crib is upon request and needs to be confirmed by management. Supplements are not calculated automatically in the total costs and will have to be paid for separately when checking out.